Electronic devices like motor cars, motorcycles, and marine cycles, cannot operate without the installation of the battery. Battery enables power start-up for the engines of these devices. It connects the ignition of the engine and the electric lights in each of the electronic device. Batteries are grouped by their size, type, mounting style and placement of the terminals. The cell is measured in Ampere-hours as a result of the energy storage capacity. 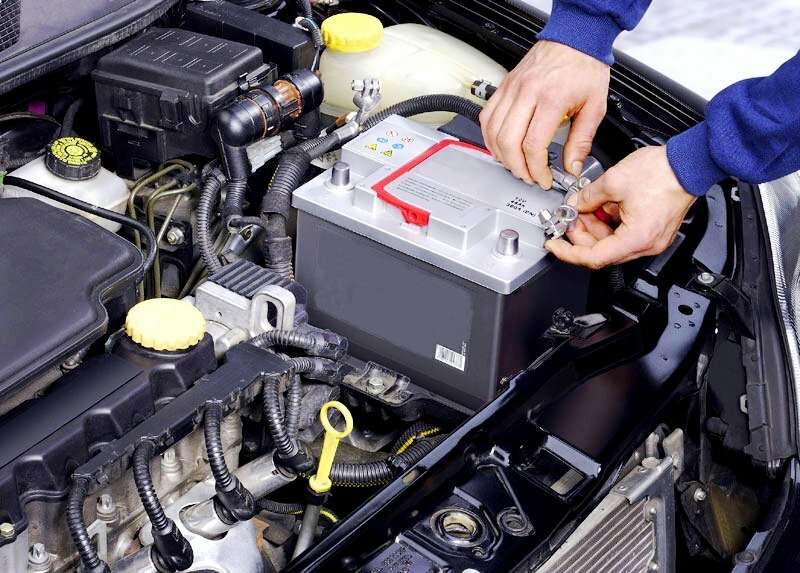 The car battery, for example, may be small, but it generates power that provides a huge impact. On average, a well-constructed battery will last 4 to 6 years, and during that period it will keep the electric current of the car steady. ACDelco is owned by General Motors (GM) which is an American Automotive brand company. Most factory parts of cars constructed by ACDelco brand are under the GM, which also offers aftermarket parts for non-GM vehicles. To streamline its operations and marketing, General Motors combined AC Spark Plug’s with United Delco to create the new AC-Delco in 1974 after the sales operation. AC-Delco then marketed various AC and Delco-branded products. A re-branding of AC-Delco in 1995 saw the hyphen dropped and formed the new name ACDelco which receive a new logo and marketing initiative. ACDelco batteries set the standard for excellent performance at an affordable price. Their batteries come with a dependable starting power for any automotive, industrial, marine or recreational applications. Here is a quick review of one their battery. 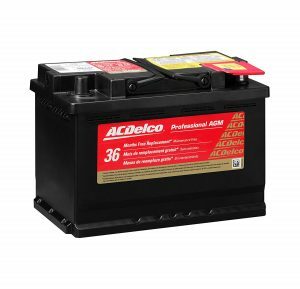 The ACDelco 48AGM Professional Battery is one the ACDelco Professional Automotive battery that is highly used as OE and aftermarket upgrade. The Absorbed Glass Mat design of this battery has a 100% spill, and the leakage has been proven over time. This automotive battery has a high recycling plate, which is also charged receptive. The battery has an excellent backed up warranty coverage, and it’s field performance also proves that the cell has high cycling capabilities with a longer lifespan. ACDelco professional automotive series batteries are the ideal choice for a battery replacement that can serve for an extended period. The oxygen combination in the cell reduces water loss and reaffirms maintenance-free performance level, which is also constructed to prevent corrosion, and a two years warranty coverage backs it. This battery meets all Original Equipment specifications and sets the standard for high performance. This battery is portable whohc means it can be mounted in smaller boats or cars with limited space. It has 36.4 pounds weight with a dimension of less than ten by seven inches. The battery has 800 cold cranking amperes, which makes it powerful to start a car, van, SUVs, pickups, trucks e.t.c. The battery also has a 98 minutes reserve capacity for constant performance. ACDelco 48AGM Professional AGM Automotive BCI Group 48 Battery sets the standard for performance higher than other established batteries regarding the reduction of water loss and resistance to corrosion. All ACDelco Professional Automotive series, which include ACDelco 48AGM Professional AGM Automotive BCI Group 48 Battery also have good warranty coverage and excellent replacement period which is free for thirty-six months with free maintenance performance. The battery is the best in the market that offers high performance at a budget-friendly price and a two-year warranty. With an average 4.3 customer star rating, the battery remains the best you can get for your car, SUVs, pickups, vans, etc.